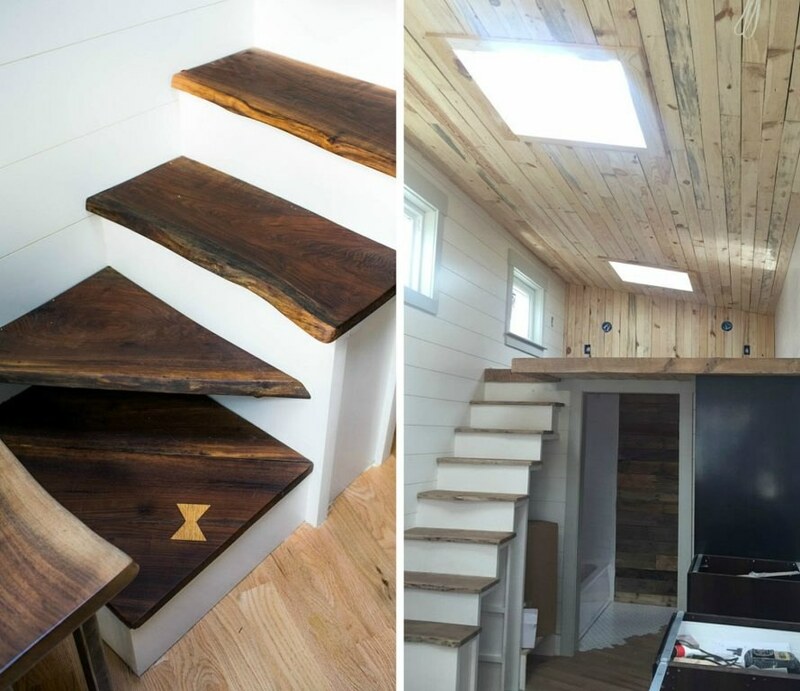 Proving that repurposed materials can be used to create gorgeous design, this 26-foot-long Legacy tiny home is made almost entirely from reclaimed wood. New Hampshire-based builders Wood & Heart designed the house with a compact yet sophisticated living area enhanced by an abundance of natural light thanks to three large skylights. 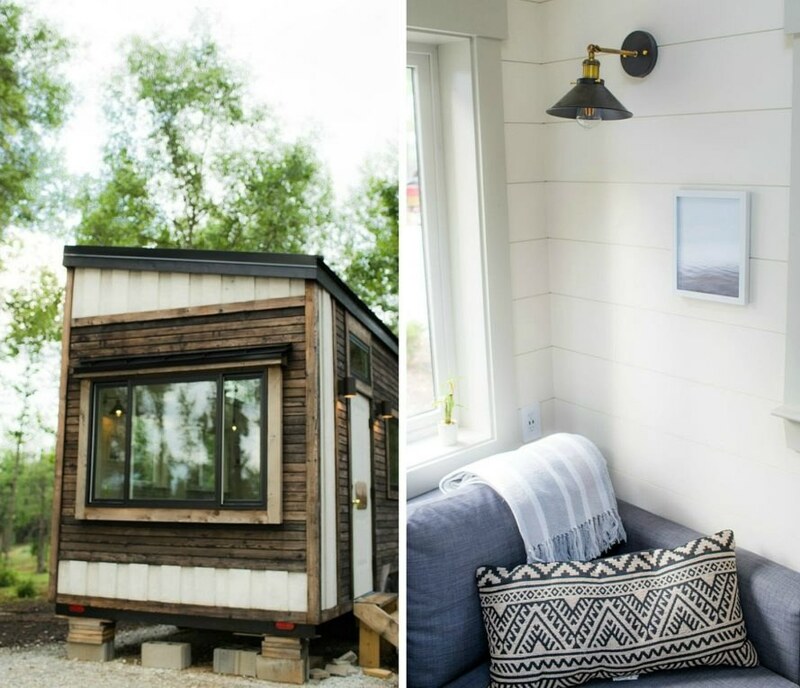 From the exterior to the interior, the tiny space was designed to offer all of the comforts of a “regular” home. The structure is clad in cedar wood siding that contrasts nicely with Shou Sugi Ban-style charred cedar trim, giving the home a nice rustic feel. Wood accents line the interior – including black walnut and African mahogany counter tops, 3″ solid hardwood oak flooring, floating black walnut shelves and a wooden dining table. Covering the space is a ceiling made entirely from rough-sawn planks of reclaimed timber. Three large skylights and 13 Andersen windows provide the space with plenty of natural light. The living space is warm and comfy, with a sleeping loft and full-size pull-out sofa for guests. 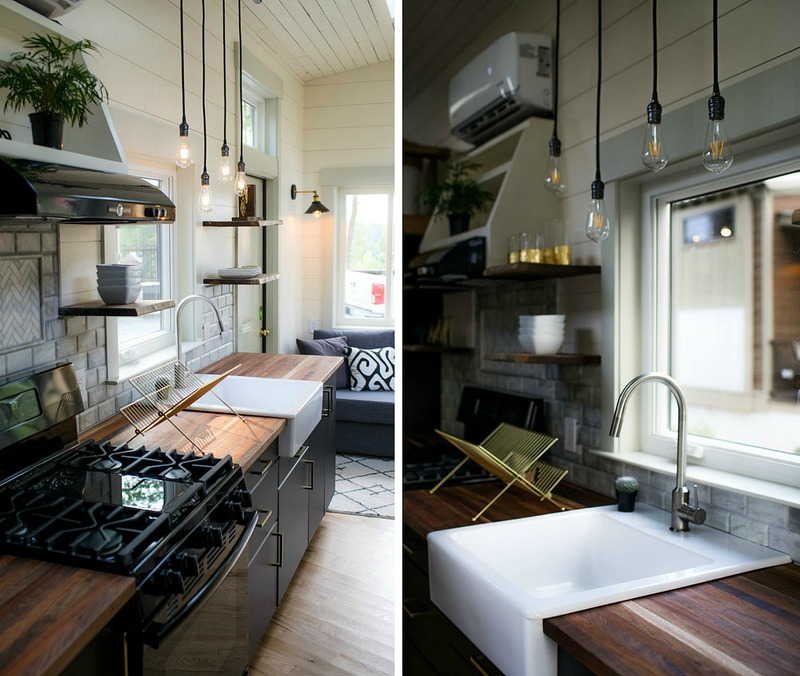 The kitchen, although compact, has enough space to make a nice meal with a four-burner stovetop and a 24-inch ceramic farmhouse sink. Of course, ample storage space is found throughout the home. Wooden planks cover the length of the interior’s flooring until the bathroom, where honeycomb geometric tiles take over. 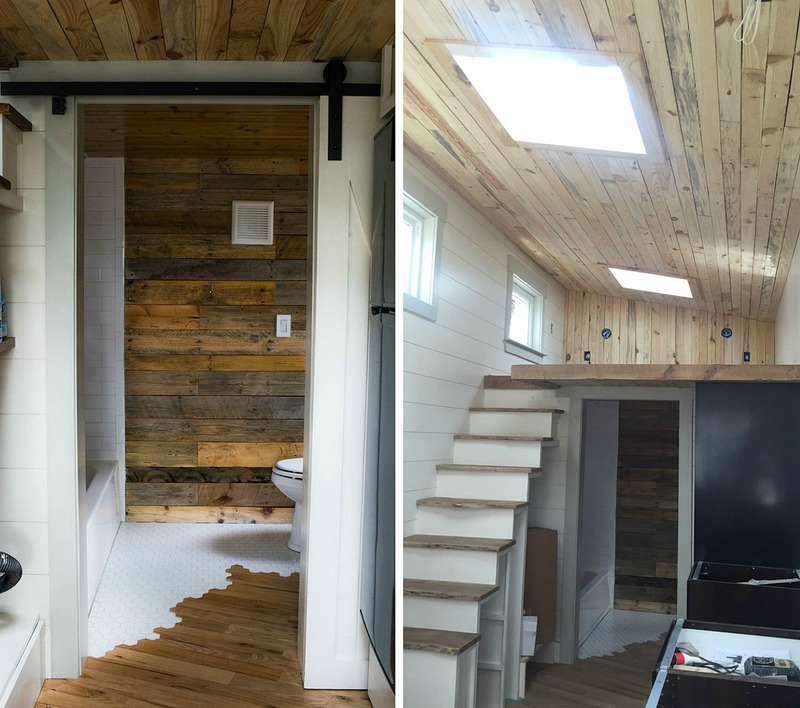 The bathroom was also built with a reclaimed accent wall. The Legacy, which can be hauled on any standard trailer, is currently on sale for $85,000 including all of the furniture, appliances and decor. + Wood & Heart Building Co. 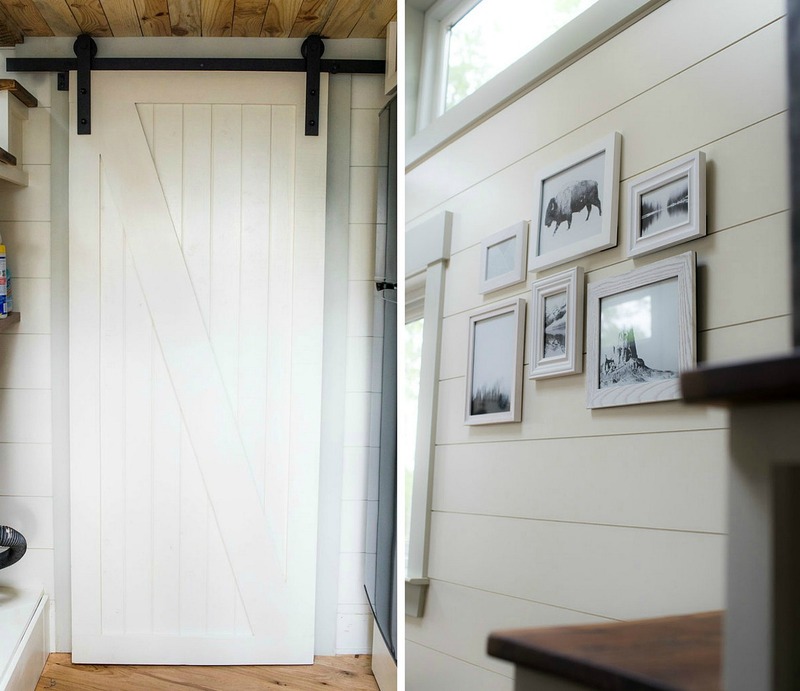 Images via Wood & Heart Building Co.
Legacy was built with reclaimed wood on the exterior as well as the interior. 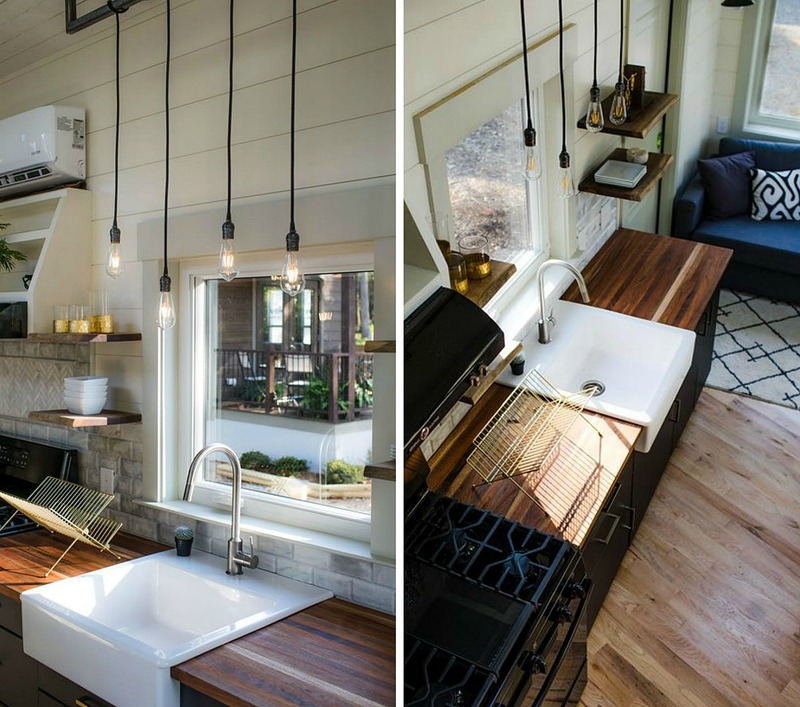 Three skylights flood the living space with natural light. Wood accents line the interior including black walnut and African mahogany counter tops, 3″ solid hardwood oak flooring and floating black walnut shelves and dining table. 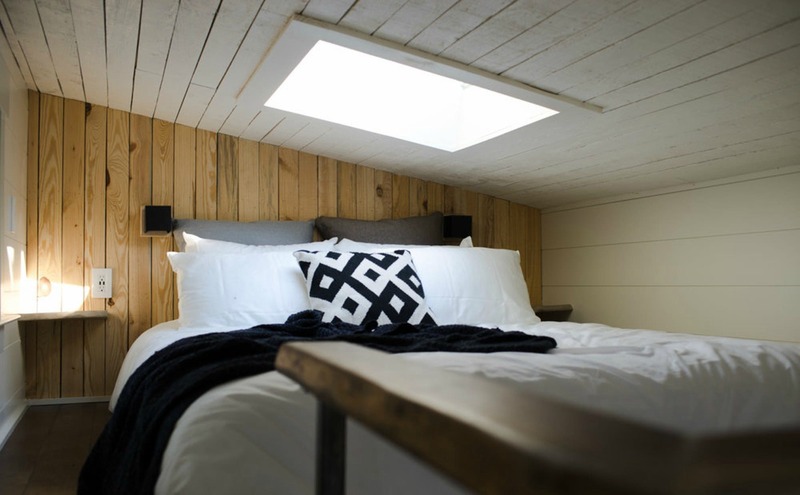 The sleeping loft has a skylight to sleep under the stars. 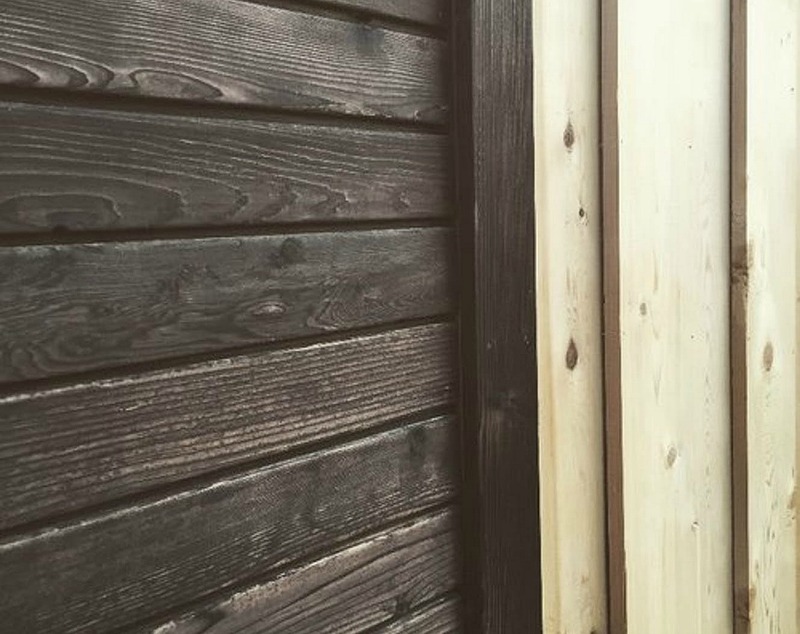 Cedar wood siding contrasts nicely with a Shou Sugi Ban-style charred cedar trim on the exterior. The interior is beautifully decorated. Covering the space is a ceiling made entirely from rough-sawn planks of reclaimed timber. The wooden panels are cut out with three large skylights, that along with the 13 Andersen windows provide the space with plenty of natural light. The Legacy, which can be hauled on any standard trailer, is currently on sale for US$85,000, which includes all the furniture, appliances and decor.